I’d like to share a summary of Vito’s work tray activities at 32 months. These are the trays that are either part of our themed activities or just some random ones that I prepared for him in line with his current interests. I hope that this will give you an idea on what to give your children in case he/she’s of the same age. Keeping records of Vito’s work trays are also a means for me to track his development and progress per month. One of the challenging task that he’s working on this month. We’re working with letters CUSN-POLH and here he’s doing the letter C. This printed material was from The Confessions of a Homeschooler and the magnetic board plus the patterns were from Melissa & Doug Deluxe Wooden Magnetic Pattern Blocks Set. He loves the sandpaper numbers! So we worked on tracing the numbers first and I demonstrated by counting it using the do a dot marker. So aside from pre-writing, it’s also a great practise for 1:1 correspondence. The sandpaper numbers can be purchased here and you can get the markers here, Do a Dot Markers. We love Safari Toobs and its his first time to use the Musical Instruments Toob. As of the moment, we do the typical match to figure and picture using the 3-Part Cards from The Wise Owl (Philippine based). You can check about this activity here, Montessori Inspired Activity: Musical Instruments. Learning about the animals in the wild, using this set from The Wise Owl again (the 3-Part cards for the Safari Toobs Wild Animals is also in my 200+ Toobs Matching Cards Bundle Pack). He can name a few but find it difficult to say the names of other animals like the rhino, hippo, and panther. You can check the details of this activity here, Introducing Wild Animals to Toddlers. One of our favorite printable from our shop (Animal Skin Cover Matching Cards)! Matching animals with their covers. We are using animals from Schleich and Safari Toobs Wild Animals. You can check the activity here, Animal Skin Covers Sensorial Matching Activity for Preschoolers. We’re having the Sound and Music Unit and one activity is using these musical handbells. You can check how we conducted our activity here, Montessori-Inspired Sounds and Music: The Musical Hand Bells. A little bit of phonics activity by matching animal names to their beginning sounds. We just worked from letters A to E. Animals are from Schleich and foam letters from Munchkin Letters and Numbers Bath Toys. This is one of his favorites for this month. You can get the Knobless Cylinders at any Montessori shop or here. Read about this amazing sensorial material and activity here, Montessori Sensorial Activities using the Knobless Cylinders. Vito is currently obsessed with tracing so I got him a dry wipe/wet wipe chalk markers which has no strong scent. I used to purchase those dry erase pens that are using ink but they really smell, and I just discovered these chalk markers which are perfect for Vito. It’s non toxic, has bright colors and can be removed easily! You can get these from AmazonUK and AmazonUS. The wipe and erase cards were Mavi’s and I purchased them from Singapore (Kumon), you can also get them here. 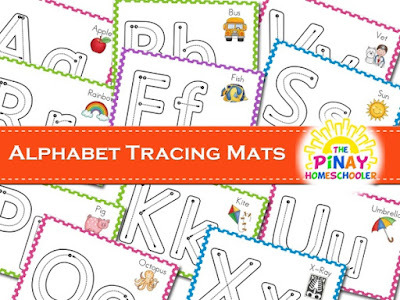 And if you have more time and want to create your own cards you can also get this printable instead, Alphabet Tracing Mats. This is one of the fastest and easiest sensory tub I’ve ever assembled. The tub is filled with 3 packs of lentils and butterflies from Safari Toob. Simple as it is, but oh boy, my little Vito played with this for a long time!